Denis Villeneuve is one of the best directors to come to the fore in the last few years, with 2013's widely loved Prisoners and his follow up, the complex and surreal thriller, Enemy. Villenueve is not a newcomer to cinema but it is only since the release of his english-language films that the world has decided to sit up and take notice of his talents. 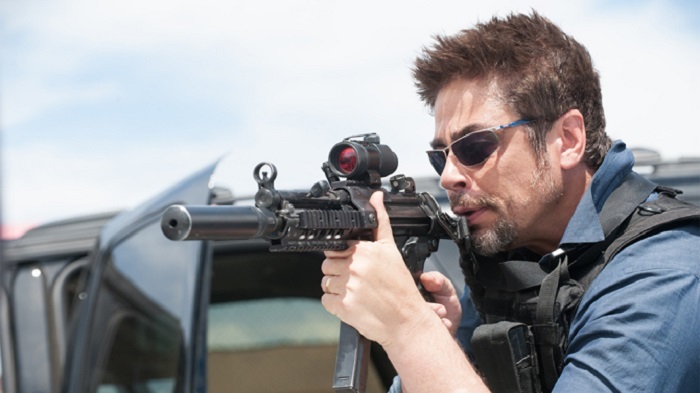 His latest feature, Sicario, focuses on Emily Blunt's idealistic FBI agent, who is drafted in to take on a drug cartel in Mexico. When she sets out on a clandestine mission to take down the drug lords, she begins to question everything she believes in, as she sees that the rules apply less and less in order for her mission to succeed. the trailer looks great, with some striking and violent imagery, and a pulsating action beat. If Villeneuve can apply his deft touches to the story then it looks like we're in for a seriously good thriller. Sicario is out in late September.